Like many football fans, I was jaw-dropping excited while watching the Minnesota Vikings’ dramatic walk-off touchdown win in last Sunday’s playoff game against the New Orleans Saints. Unlike many football fans but probably more like our readership, my next thought while watching the celebrations was: I hope the Wi-Fi holds up! According to a top NFL IT executive who was at the game, the Wi-Fi network at U.S. Bank Stadium was more than up to the load applied to it by the Vikings’ exciting win and victory celebration, a good stress test ahead of the stadium’s hosting of Super Bowl LII on Feb. 4. “There were an amazing amount of [Wi-Fi] connections” after the game’s end, said Aaron Amendolia, vice president of IT in the NFL’s office of the CIO, in a phone interview Thursday. The “massive spike” in connectivity after the game’s exciting conclusion produced numerous social media posts from fans present, mainly on Facebook and Snapchat, Amendolia said. Though he didn’t have full networking statistics from the game, Amendolia did share one interesting number, the fact that there were approximately 37,000 unique connections to the Wi-Fi network during the game — a total greater than that at last year’s Super Bowl LI in Houston, where 35,430 fans out of 71,795 in attendance at NRG Stadium used the Wi-Fi at some point. 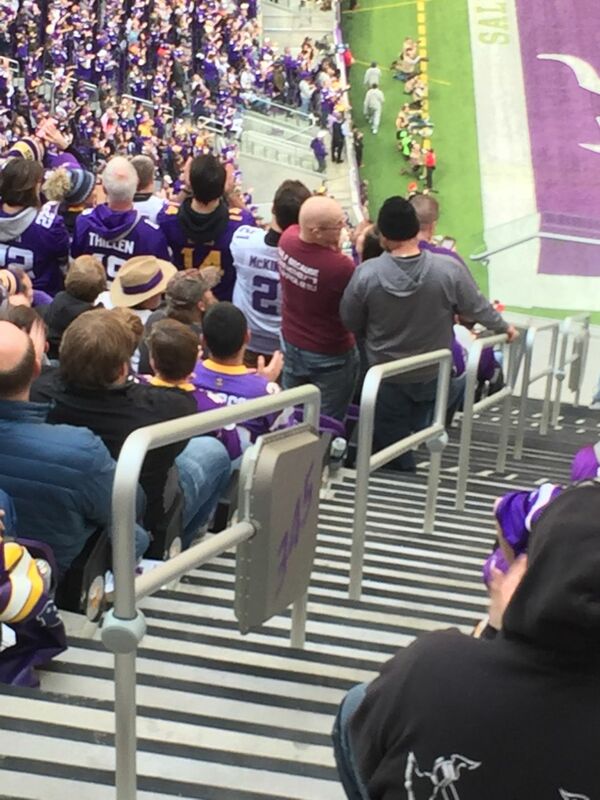 Attendance at Sunday’s playoff game in Minneapolis was 66,612. Amendolia, part of the NFL’s networking team that ensures good connectivity at the league’s championship event, said testing work on the AmpThink-designed network (which uses Cisco Wi-Fi gear) started last year, and then ramped up through the current season. What’s interesting is that networking usage totals for games the following NFL season usually increase as well, not to Super Bowl levels but surpassing marks from years before. For this season’s opening game at the New England Patriots’ Gillette Stadium, the Wi-Fi network there saw 8.08 TB of data used, a mark that trails only the last two Super Bowls. 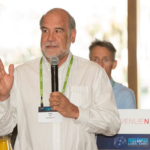 “Super Bowls set the benchmark for the next season,” said Amendolia, who agrees that there may never be an end to the growth. 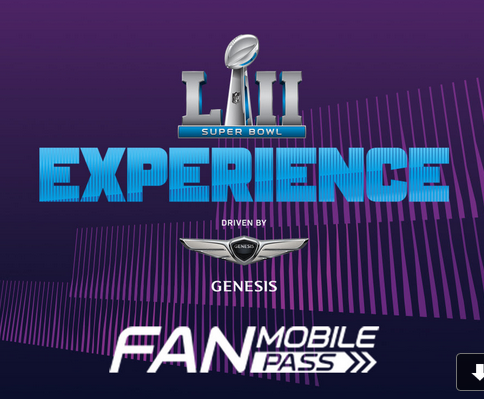 For the second year in a row, the NFL is building its own mobile app for the Super Bowl, this time with a single-application strategy meant to cover both fan activities the week before Super Bowl LII, as well as game-day functionality at U.S. Bank Stadium in Minneapolis. 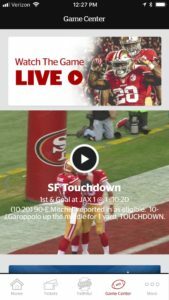 In a phone interview Thursday with Aaron Amendolia, vice president of IT services for the NFL’s office of the CIO, Amendolia said the new strategy of having a single app for pre-game and game-day activity was meant to drive adoption and eliminate confusion over which app fans might need for various Super Bowl interactions. 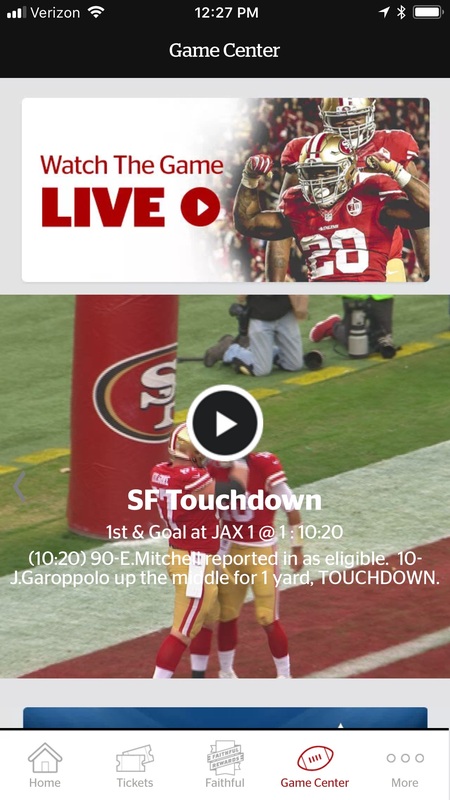 Last year, the NFL tried to harmonize its Super Bowl app strategy but still required fans to use a separate app — the NFL Mobile app — to see game highlights and other content. The Super Bowl LII app is now available for download, and fans can sign up on the Super Bowl app website for a chance to win tickets to the big game, while also providing personal information that Amendolia said will assist with the league’s quest to bring more “personalization” to the experience. “There’s more gamification to the app, with the opportunity for fans to win achievements” through the week, Amendolia said. According to the sign-up web page, there will be a heavy focus on social media engagement, with promises of availability of free autographs from current and past NFL stars; the ability to take a picture of the Super Bowl trophy; and to see images of all 51 Super Bowl rings. 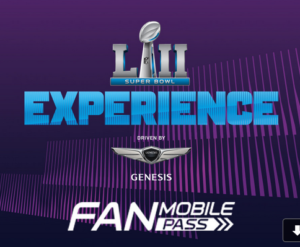 There will also be sponsor-activation activities throughout Minneapolis, most likely at the NFL Super Bowl Live fan site on Nicollet Mall and other Super Bowl events, where presumably fans can “check in” with the app’s QR code to earn rewards. 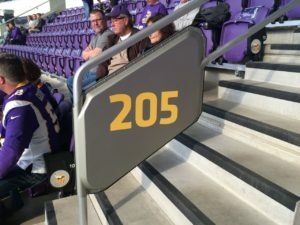 For both the week before and game day, Amendolia said the app will have wayfinding maps, but they won’t be active “blue dot” wayfinding, even though that feature is supported in the Vikings’ own stadium app, which was developed for the Vikings by app developer VenueNext. “We did discuss [beacon-enabled] options, but there are some challenges to that that are unique to the Super Bowl,” said Amendolia, noting things like temporary structures and closed roads for Super Bowl activities that could be harder to integrate into maps. For wayfinding beyond maps, Amendolia said there would be a heavy reliance on digital signage information in and around the stadium to help fans find their way. Like last year, the NFL Super Bowl app will not have any functionality allowing fans to order food or drinks for delivery or express pickup, with the latter being a service that was tested at Vikings home games this season. The app will allow fans to pre-order merchandise and pick it up at locations around town during the week before the game, Amendolia said, and will also allow suite ticketholders to order merchandise for pickup during the game. One interesting question is whether or not the Vikings will be allowed to make their own app active for the game if they make the Super Bowl by beating the Philadelphia Eagles in the NFC championship this weekend. If so, it would represent the first time an NFL team played in the Super Bowl at its home stadium, an issue never faced in the era of team apps. Vikings officials did not respond yet to questions about the possible availability of the team app for the Super Bowl, but we will update this post if and when they do. After Sunday’s stunning last-second victory, the Minnesota Vikings are one step closer to becoming the first team to play a Super Bowl in its own home stadium. 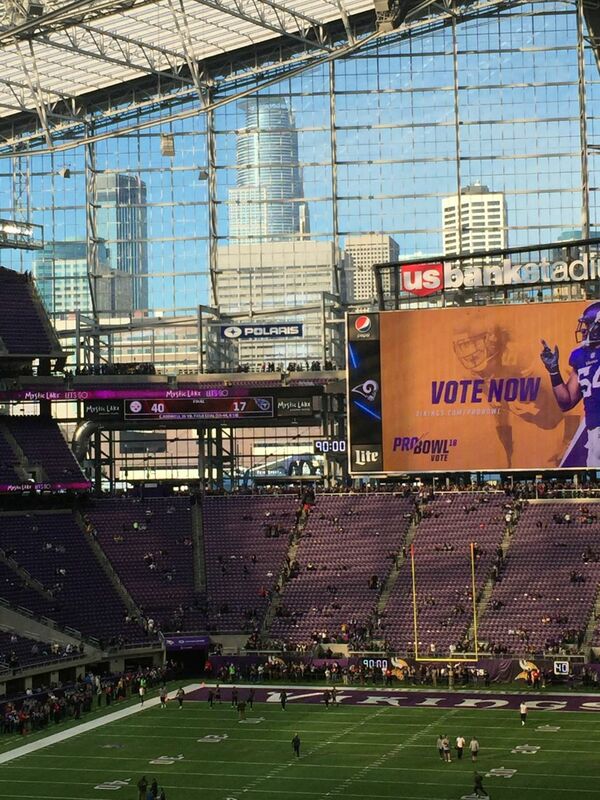 Should the Vikings beat the Eagles in Philadelphia this weekend, Super Bowl 52 visitors should prepare for a true Norse experience inside U.S. Bank Stadium, with repeated blasts from the oversize “Gjallarhorn” and a fire-breathing dragon ship that will launch the home team onto the field. Skol! 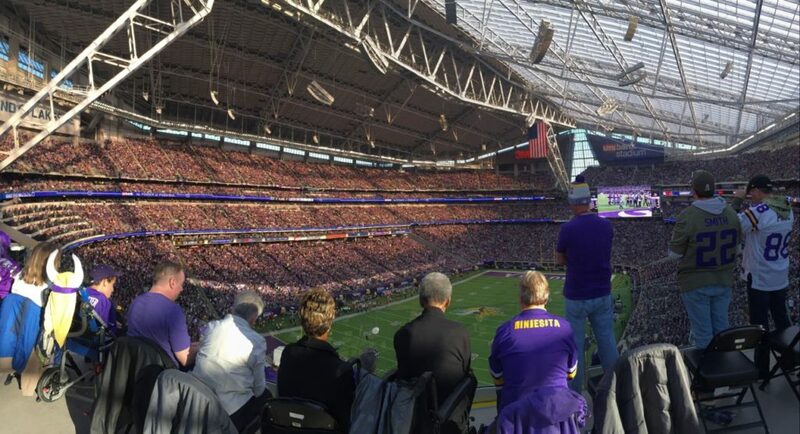 In a mid-November visit to U.S. Bank Stadium for a Vikings home game against the Los Angeles Rams, Mobile Sports Report found robust coverage on both the Wi-Fi and cellular networks all around the inside of the stadium, with solid performance even amidst thick crowds of fans and even in the highest reaches of the seating bowl. Speedtests on the Wi-Fi network, built by AmpThink using Cisco gear, regularly hit marks of 40 to 50-plus Mbps in most areas, with one reading reaching 85 Mbps for download speeds. 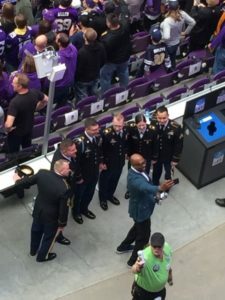 And on the DAS side of things, Verizon Wireless, which built the neutral-host network inside U.S. Bank Stadium, said in December that it has already seen more cellular traffic on its network for a Vikings home game this season than it saw at NRG Stadium for Super Bowl LI last February. With 1,200 total antennas — approximately 300 of which were installed this past offseason — Verizon said it is ready to handle even double the traffic it saw at last year’s game, when it reported carrying 11 terabytes of data on stadium and surrounding macro networks. Editor’s note: This profile is from our most recent STADIUM TECH REPORT for Winter 2017-18, which is available for FREE DOWNLOAD from our site. 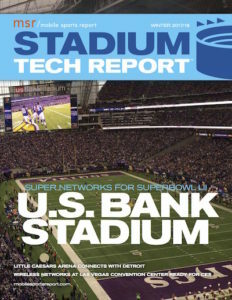 This issue has an in-depth look at the wireless networks at U.S. Bank Stadium in Minneapolis, as well as profiles of network deployments at the brand-new Little Caesars Arena, the Las Vegas Convention Center, and Orlando City Stadium! DOWNLOAD YOUR FREE COPY today! 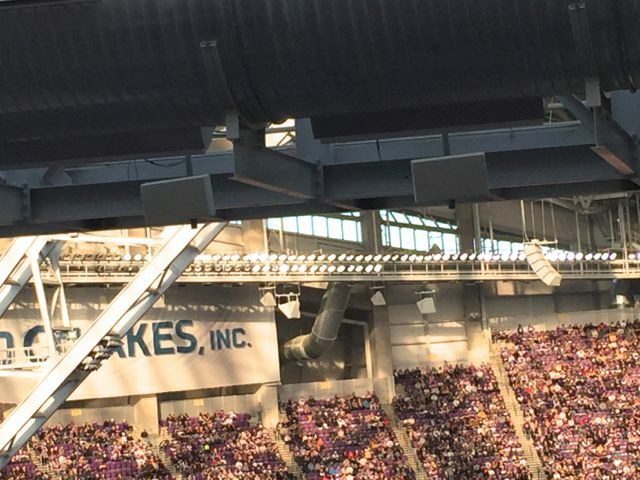 A new Verizon DAS antenna handrail enclosure (right) at U.S. Bank Stadium in Minneapolis. (The enclosure lower left is for Wi-Fi). 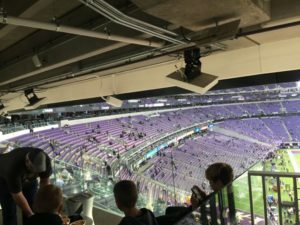 James Farstad, chief technology advisor for the Minnesota Sports Facilities Authority (MSFA), the entity that owns U.S. Bank Stadium, said he and his group are “very pleased” with the state of the wireless networks inside the venue heading toward its Super Bowl date. Those networks are tested the very moment the Vikings open the doors for home games, especially in warmer weather when the signature big glass doors — five of them, all 55 feet wide and ranging in height from 75 to 95 feet — swing out to welcome fans. 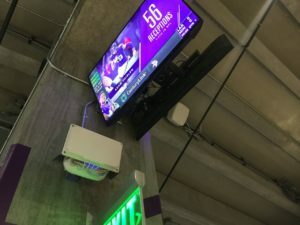 As the entry that points toward downtown, the west gate can account for as much as 70 percent of the fans arriving, according to the Vikings, putting a big crush on the wireless networks in the doorway area. 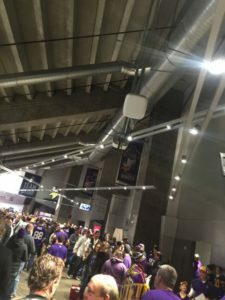 To help keep people connected in crowded situations, Verizon deployed extra DAS antennas on short poles in front of both the west and east end zone concourse areas, part of a 48 percent increase in overall DAS antenna numbers added during the football offseason. Even with thick crowds streaming into the stadium, we still got a DAS speedtest of 77.35 Mbps download and 32.40 Mbps upload on the concourse just inside the west doors, and just below the Gjallarhorn. 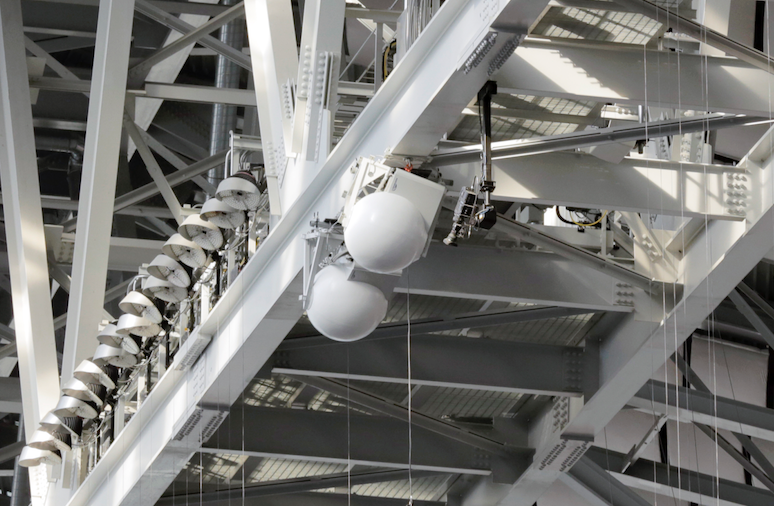 Walking around the main level concourse, connectivity hardware is easy to see if you know what you’re looking for; part of the extensive DAS coverage includes dual antennas hanging off a single pole above wide walkway segments. And in one instance, we saw a good example of aesthetic integration, with a Wi-Fi AP attached just behind two IPTV screens, with a beacon attached to the side and a DAS antenna mounted just above everything else. First big test of railing-mounted Wi-Fi? 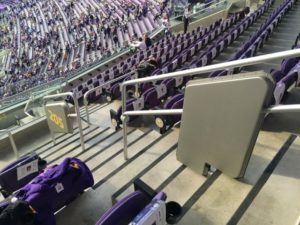 Moving into the seating bowl, visitors may not know that many of the Wi-Fi network’s 1,300 APs are hiding there in plain sight — inside silver handrail enclosures, many of which now sport bright, bold section numbers to help fans find their seats. 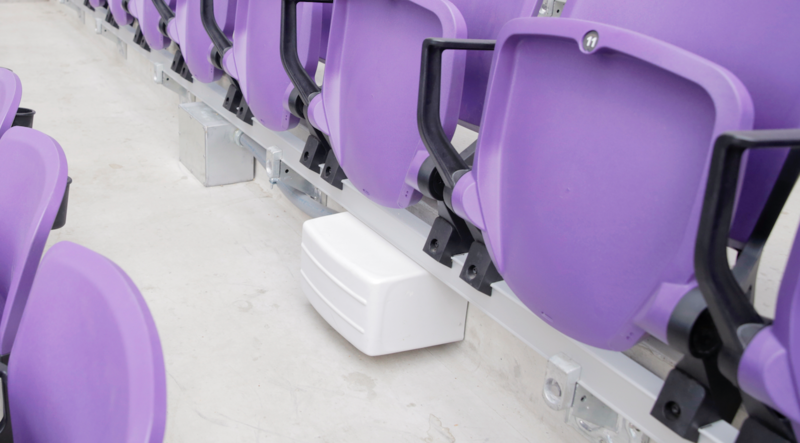 Believed to be the first big football-sized stadium that relied mainly on railing-mounted APs, the proximate network design from AmpThink is proving to be a winner in performance, producing regular-season game data totals of around 3 terabytes per event and maybe more importantly, keeping an optimal number of fans attached to the AP closest to them for the speediest connection. Sitting next to AmpThink president Bill Anderson in the stadium’s press box you get a great view of the field, but it’s doubtful Anderson watches much football action given that he spends most of a game day glued to a screen that shows live detailed performance for every Wi-Fi AP in the building. While the analytics program produces a wealth of interesting data, the one metric that keeps Anderson’s attention is the one showing how many fans are connected to each AP, a number that will be no more than 50 and ideally somewhere around 25 connections if the network is performing as it should be. other. 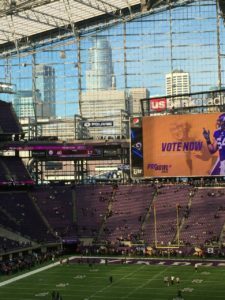 The large clear-plastic roof and wall areas at U.S. Bank Stadium don’t help, since they reflect RF signals to add to the network design degree of difficulty. But the multiple railing-mount network design – which AmpThink duplicated at Notre Dame University, whose new network is seeing the highest-ever data totals seen at collegiate events – seems to be fulfilling AmpThink’s goal to produce networks with steady AP loads and consistent, high-density throughput in extremely challenging environments. The railing-mounted APs provide connectivity that couldn’t be delivered by overhead antennas, like in Notre Dame’s open concrete bowl and in U.S. Bank Stadium’s similar wide-open seating area, where no overhead structure is within 300 feet of a seat. And even though Verizon knew the Super Bowl was coming to U.S. Bank Stadium when it built the neutral host DAS for the 2016 opening, it came right back this past offseason and added approximately another 300 new antennas (mainly for its own use and not for the shared DAS), all in the name of unstoppable demand for mobile bandwidth from fans attending events. 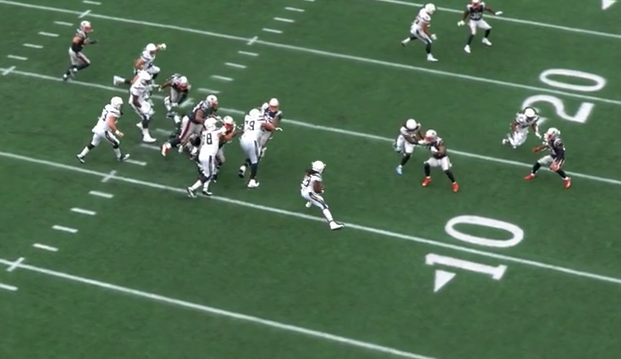 Diana Scudder, executive director for network assurance at Verizon, said in a phone interview that “the consumer appetite [for wireless data] is insatiable,” especially at the NFL’s biggest game, where DAS use has grown at a fast clip the past few years. Scudder said these days Verizon pretty much plans to see double whatever the last Super Bowl saw for each following big game, and adds network capacity accordingly. Verizon’s numbers from the past three Super Bowls are a good guide, with the carrier reporting 4.1 TB used at Super Bowl 49, 7 TB at Super Bowl 50, and 11 TB at Super Bowl 51. AmpThink’s handrail-mounted AP enclosures seem to have played a hand in part of Verizon’s DAS upgrade, as some of the new DAS enclosures seem to mimic the Wi-Fi ones with their smaller silver enclosures. Scudder did say that Verizon used contractors to assist with the new antenna deployment enclosures and mounts, but did not cite AmpThink by name. Verizon also deployed some under-seat antenna enclosures for its upgrade, a tactic the company also used for Super Bowl 50 at Levi’s Stadium in Santa Clara, Calif. Even less unseen and probably not appreciated until it’s needed is the stadium’s backbone bandwidth, provided by sponsoring partner CenturyLink. 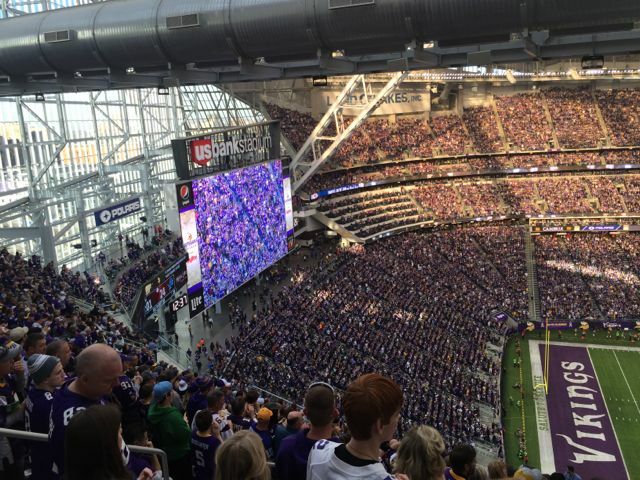 Though some stadiums are touting 100 Gbps pipes coming in, the U.S. Bank Stadium setup makes the venue its own ISP, according to Farstad. 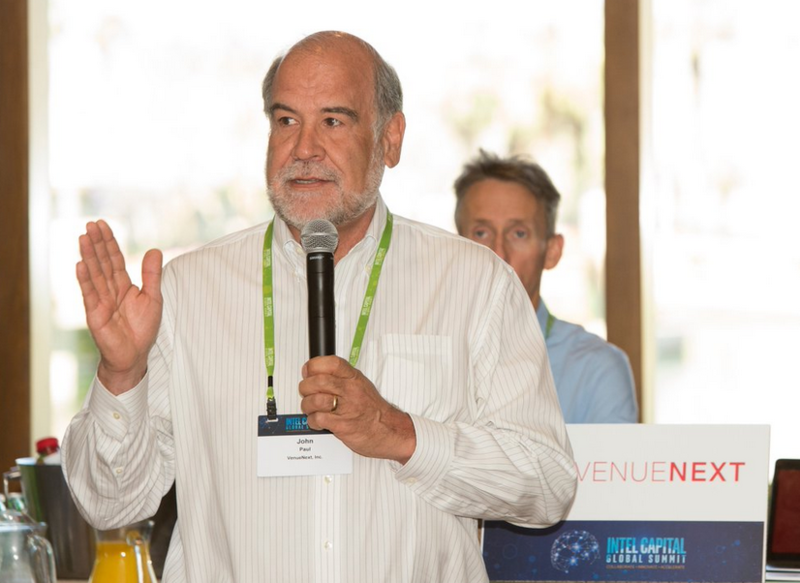 With six 10-Gbps pipes that are always active — and on two separate network infrastructures for redundancy — the stadium can turn up its bandwidth on the fly, a test the venue got on its first public event. According to Farstad, when U.S. Bank Stadium opened for the first time with a soccer game on Aug. 3, 2016, the stadium operators expected about 25,000 fans might show up for a clash between Chelsea and AC Milan. But a favorable newspaper article about the stadium led to more than 64,000 fans in the house, a surge that backed up the light-rail trains and saw the concession stands run out of food. “We were watching the Wi-Fi system during the first break [in the soccer game] and it was coming down fast,” Farstad said. But the ability to increase capacity quickly — Farstad said that within 45 seconds, the stadium was able to provision new bandwidth, a task that in other situations could take weeks — the Wi-Fi survived the unexpected demands, proof that it should be able to handle whatever happens on Super Bowl Sunday. “I think we can handle the Super Bowl traffic,” Farstad said.